Construction is underway of Freehold Builders newest community called Arden here in Palm Beach County. Located west of Lion Country Safari on Southern Boulevard, the Arden Community will be like no other we have seen in recent years. The project will be set on 1200 acres of land and include 2,000 single family homes. 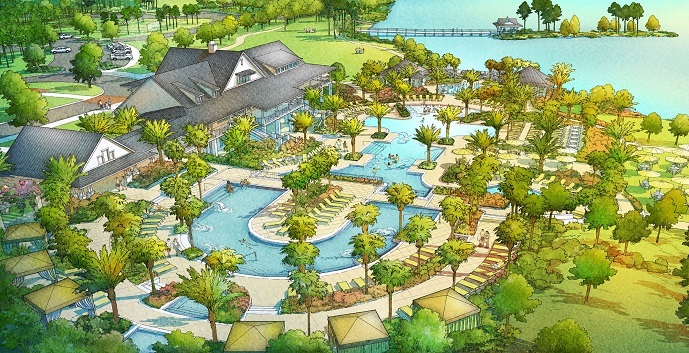 Life for homeowners at Arden will be “connect with nature” themed. 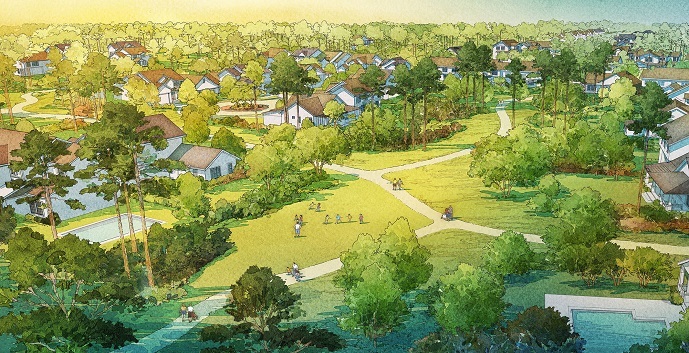 The community will include 19 miles of walking and biking trails. 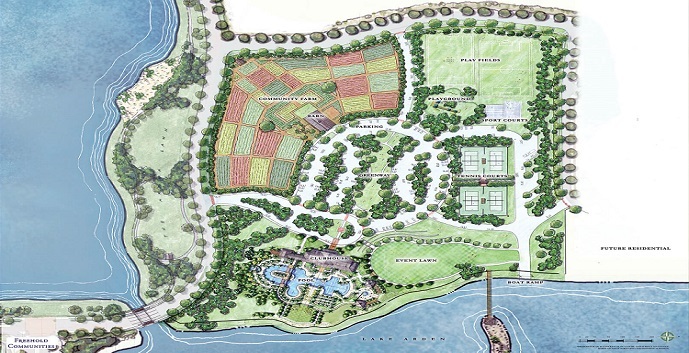 A massive lake with boat ramps for canoeing and kayaking, and a functioning farm where residents will be encouraged to take part in cooking classes and harvesting events. There will also be a clubhouse with pools and cabanas, a state of the art fitness center, a playground with playing fields and sports courts. There will also be a community barn built on the grounds. Homes will range in size from 1,600 square feet to over 4,000 square feet. Early predictions are that the homes will be in the “affordable” range targeting young families and first time home buyers. Prices will posted as soon as they are made available but are currently predicted to begin around $300,000. Arden homes models and floor plans coming soon.